EPO (Extended Performance Optimization). The integration of Dual-Layer Tread and EPC (Extended Performance Compound) minimizes the loss of wet braking and handling performance as the tire wears. EPC Tread Compound. 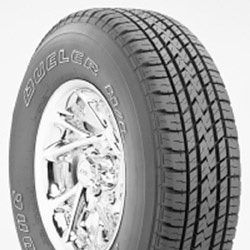 Reduces the hardening effects of heat for continued flexibility and wet performance as the tire wears. Dual Layer Tread. Minimizes the effect of wear on wet tire performance by exposing high grip rubber as the tire wears.